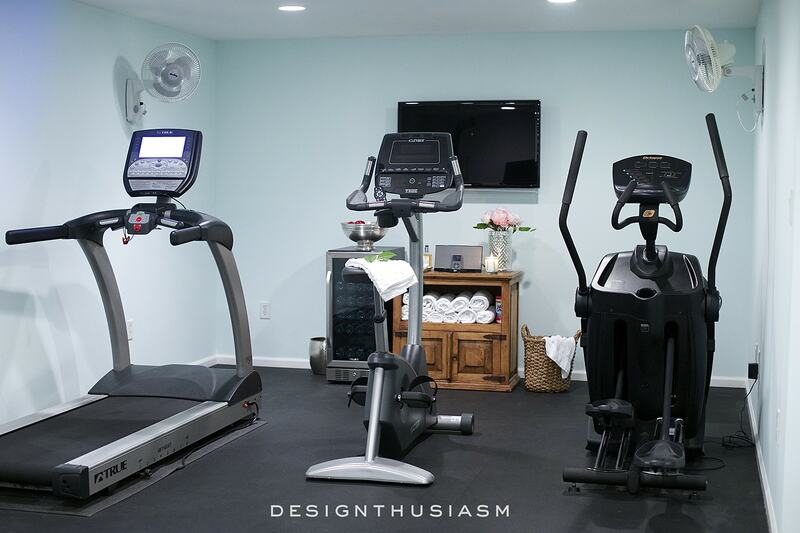 Have you ever been to someone’s home and thought, “Wow, if I had a gym like that I’d work out all the time”? 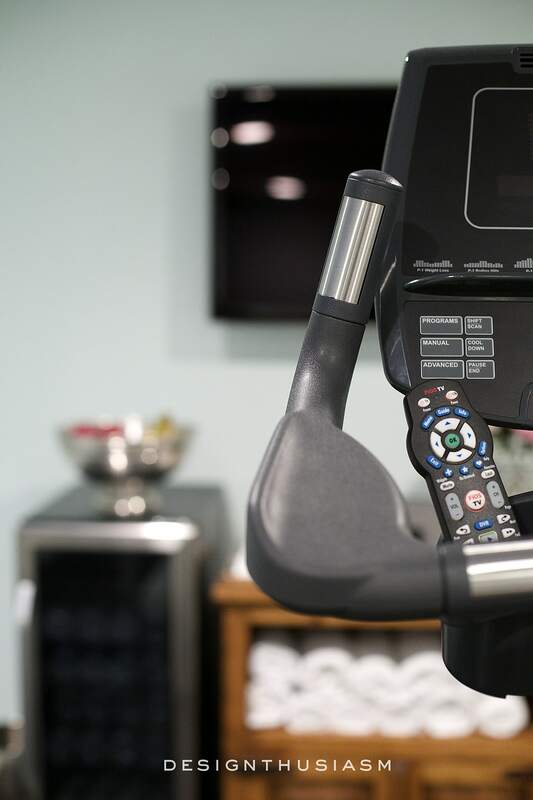 The difference between a beautiful home gym and a treadmill that you squeeze into the corner of your room, piled high with laundry, is a matter of attitude. 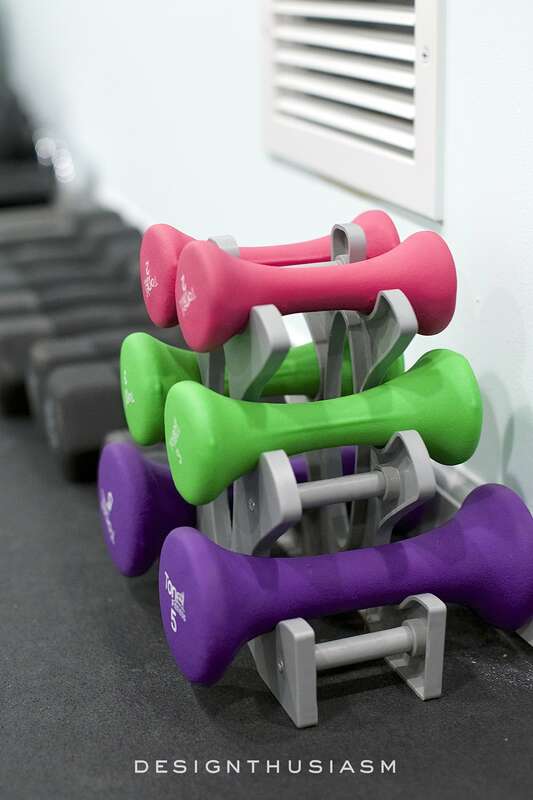 Sure, you need a certain amount of space to dedicate to working out and state-of-the-art gym equipment can be quite costly. But anyone with a basement or spare room and some cash for weights and a yoga mat can have an awesome home gym. 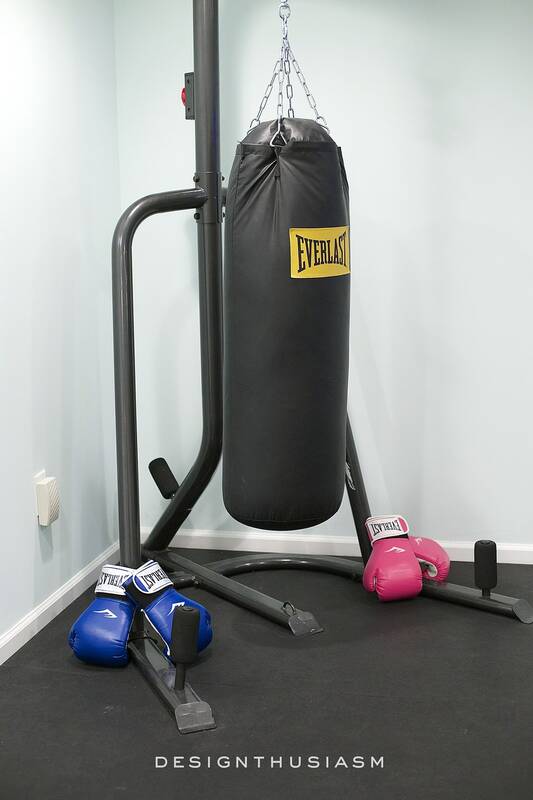 Here are 10 Ways to Add Style and Function to Your Home Gym Design. *This post has been sponsored by NewAir. However, all opinions expressed are entirely my own. 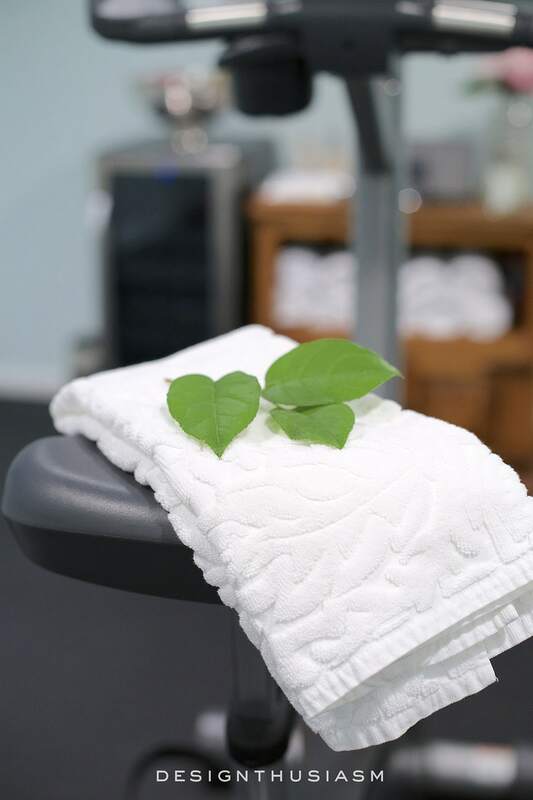 Fresh flowers – in the gym? Absolutely! Think of walking into your favorite hotel gym or elegant spa and the first thing you likely see is a simple refreshing bouquet of pretty flowers. This is not the place for a complicated arrangement but a clean little cluster of aromatic blooms is an uplifting way to begin your workout. Buy them at the grocery to make it a habit. 2. 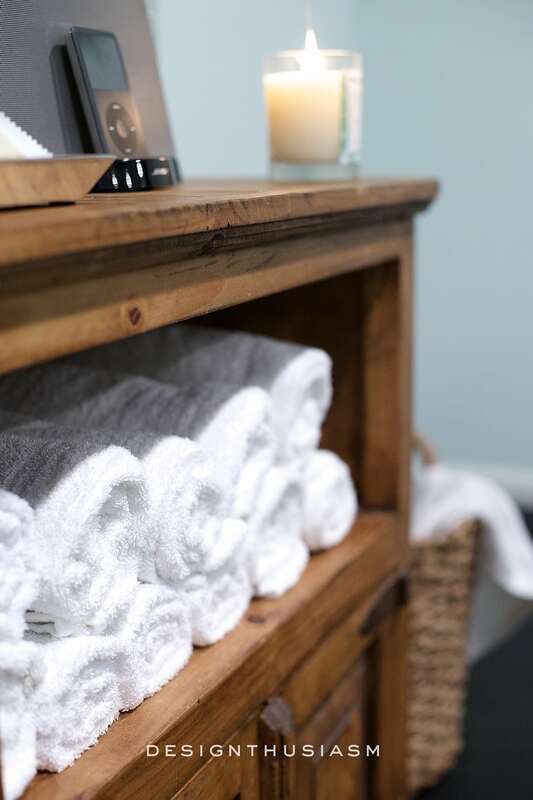 Spa Towels – I buy them by the dozen and keep them neatly rolled and tucked into a shelf in an old media stand. 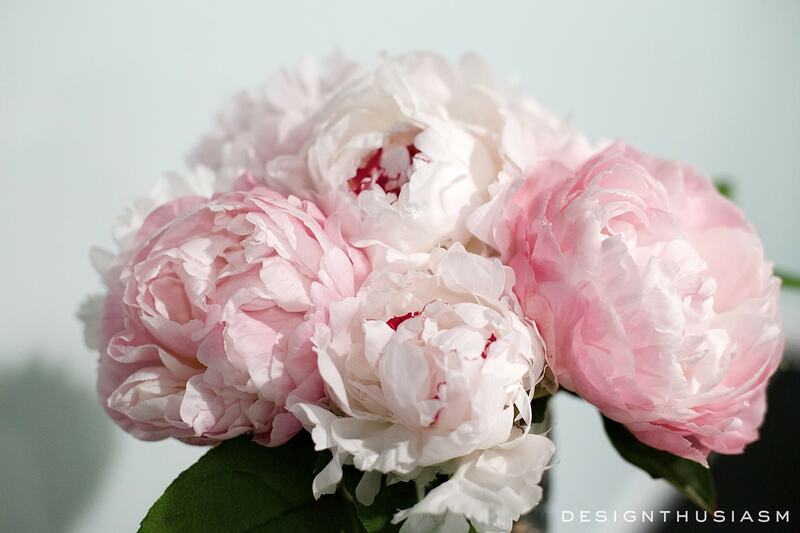 Pure crisp white, and if you can spray them with lavender water, all the better! 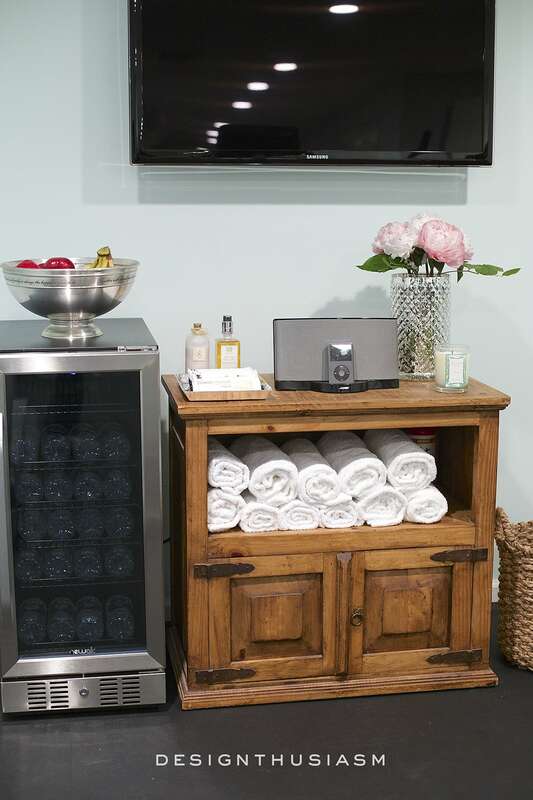 I also keep a wicker basket next to the stand to toss the used towels in for a trip to the laundry room. 3. Mirrored wall – if you can swing a full wall, definitely go for it. Nothing keeps you motivated and aware of your form like a peek in the mirror. If your space is too small or just a segment of a room, opt for at least a full length mirror to hang on the wall. It’s also a great way to bounce light around a windowless room (like mine here in our basement). 4. Media – if you’re a TV person, go ahead and mount one on the wall. 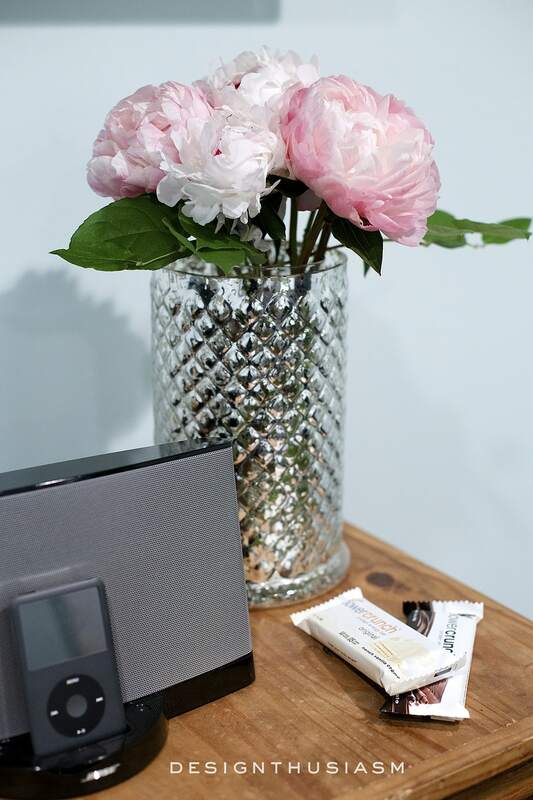 For music fans, a portable sound dock can be added easily to any room. We keep the remotes in the cup holders on the machines. 5. 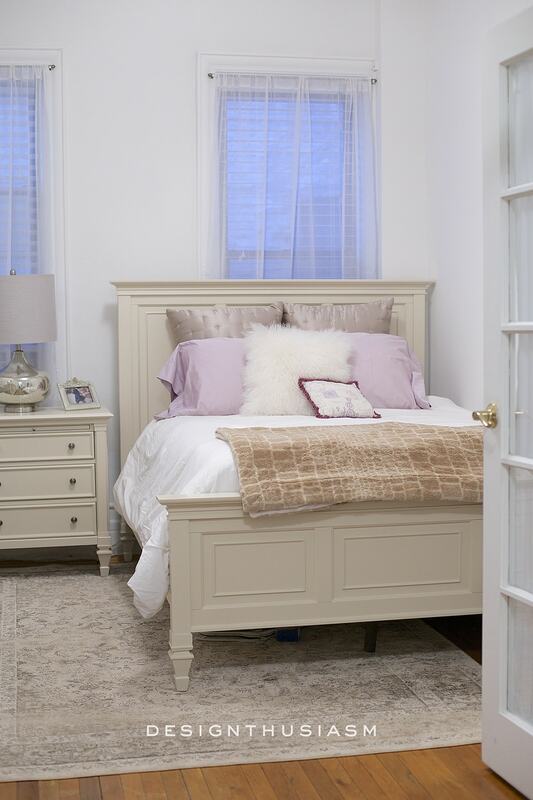 Pleasing paint color – I actually made a huge deal about selecting the paint color. When we moved into our home, this room was a deep mustard gold. With no natural light and dark equipment throughout, I wanted to lighten the mood with a clean relaxing tone, as spa-like as possible. The color I chose is BM Irish Mint and it gives me exactly the vibe I was going for. 6. 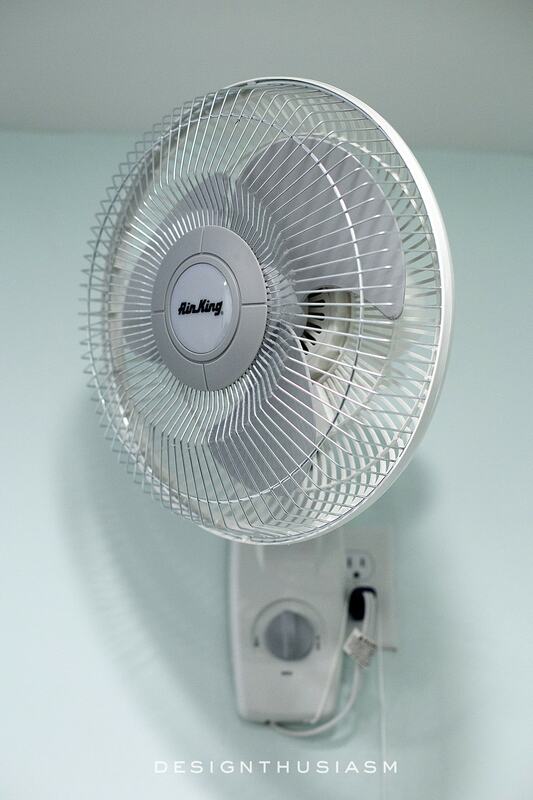 Wall mounted fans – despite the fact that our home has central air, the 3 fans we have in the gym are a true benefit. I do wish I could reach the wall switch from the treadmill, so keep that in mind if you install your own. 7. Rubber flooring – I just love having the rubber floor. For functionality it can’t be beat. Great for traction, comfort and it has a lot of give. 8. 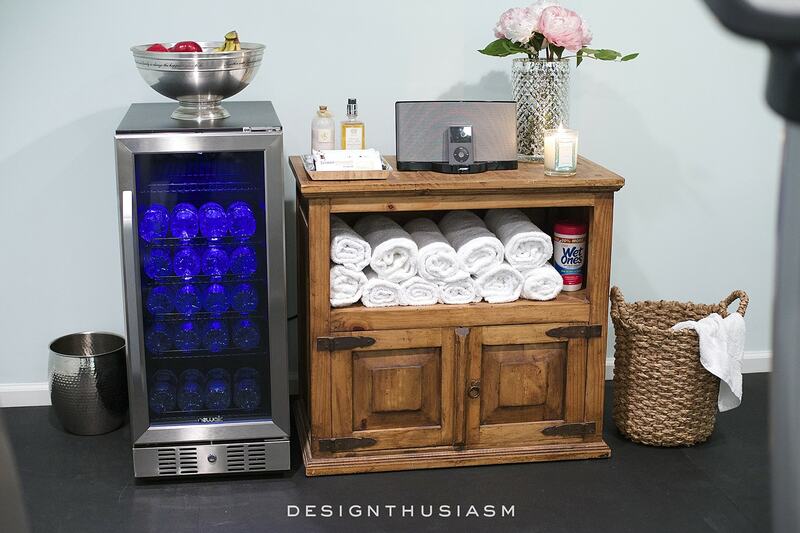 Beverage cooler – this one has been a game changer for me. How many times have you gone down to the gym, only to realize you forgot to bring a water with you? I am delighted to have received this perfect new addition from my sponsor, NewAir. 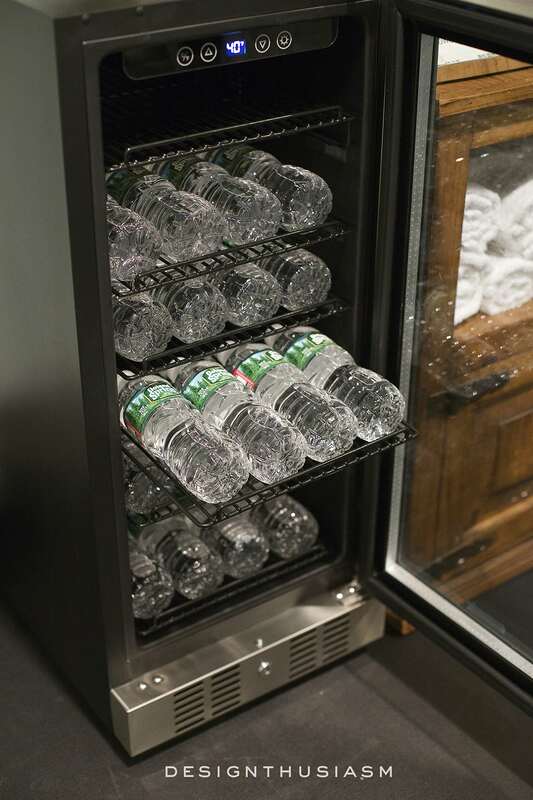 The sleek design goes well with our space, the cooler can be used free standing or built in, the removable shelves can be configured to accommodate a variety of beverages and the capacity is exceptional for its convenient size. The digital display is simple to use and easy to read, the double pane glass door is reversible and it also includes a security lock. Best of all, the price is right and the cooler works as well as many higher ticket models. 9. 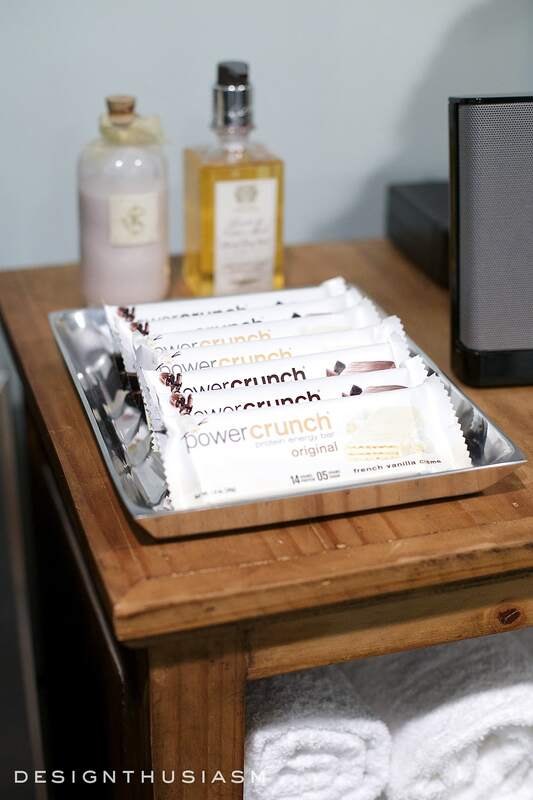 Healthy snacks – we keep bananas and apples, as well as power bars in the gym. 10. 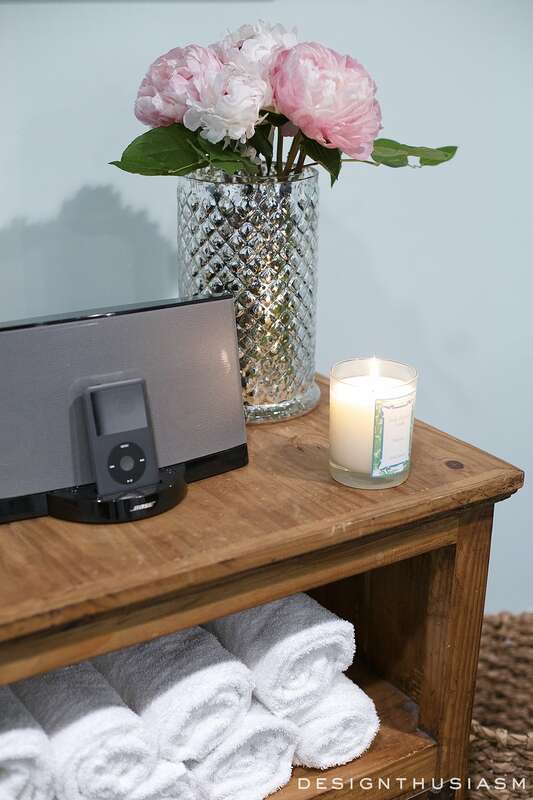 Candles or potpourri – it’s nice to fill the room with a pleasant fragrance. I use candles when doing yoga but when on the treadmill I stick to potpourri. It makes me nervous to see the candle flicking while I’m jumping around. 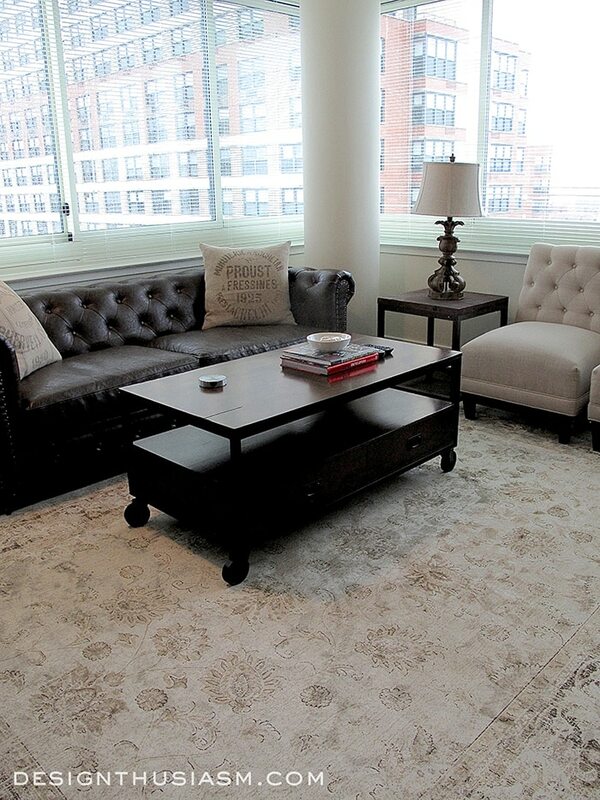 I hope I’ve given you incentive to add some luxury to your workout space. These are the things that help to motivate me and I hope the same works for you! Oh Lory, you’ve created very motivating gym space! ALMOST makes me want to work out! Well done! Yep, it definitely helps to make it appealing. I don’t love that our gym is in the basement and has no windows, so I was motivated to make it as nice as possible… 🙂 Good luck with yours! Lory Thank you so much for this post! 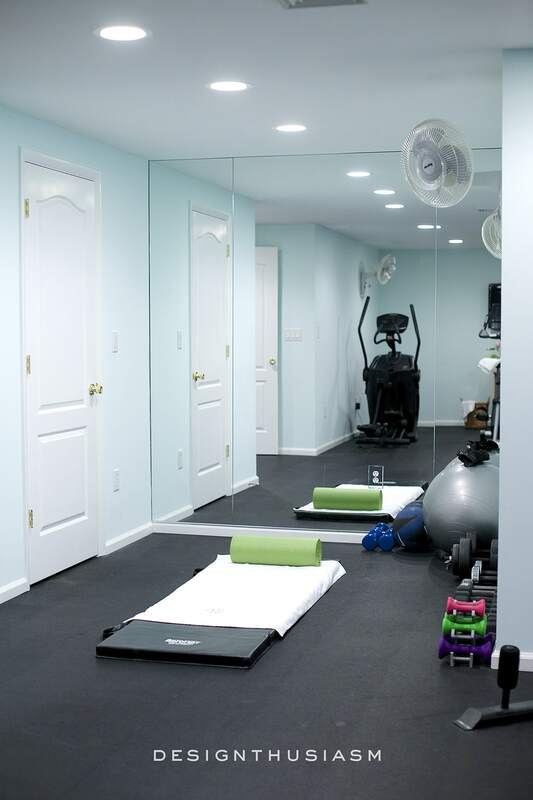 We are getting ready to add a home gym and I was at a loss on floor coverings, a good paint color, all of it. I have been following several home decor blogs for years, googled this subject and have not seen anything, anywhere. For me, your timing was perfect! I can’t wait to use your ideas. I do exercise but if I had a home gym like this I wouldn’t hate doing it as much. It looks great. I am very light and color sensitive. I love the color you have painted your room. Also the flowers and crisp white towels. You have made a very appealing place to get in shape.